Whole grain foods include pieces of bread, flour, rice and cereals. A diet rich in whole grains provides you with a high quantity of fiber, zinc, vitamin B1, B2 and B6. Including them in your diet will give nourishment to the scalp and hair follicles. If you want naturally beautiful and healthy hair, then whole grain food is your answer. These are not only beneficial for hair, but also improve the digestion process in the body. Proper digestion automatically means a healthy body, skin and hair. Dieticians and dermatologists will also advise you to include eggs and chicken. This is because eggs and meat contain high quantity of proteins and hair is made of proteins. Sufficient intake of proteins encourages healthy hair growth and improves the condition of hair fall. 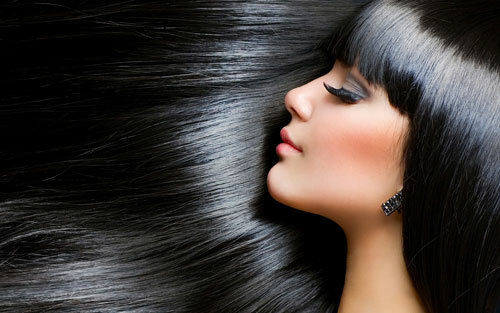 If you are suffering from weak and brittle hair, then probably you are not taking sufficient proteins in your diet. Including protein-rich food such as eggs, chicken and turkey can promote healthy hair growth and eliminate problems like fall and breakage. We all know the health benefits of having green vegetables. If you really want to have healthy and shining hair, then this is the simplest way to do it. Include as much green leafy vegetable as you can in your diet. Vegetables like Broccoli, Spinach, and Fenugreek are rich in iron, vitamins A and C, and calcium that are vital for hair growth and regeneration. Green vegetables are necessary for sebum production.